Bright white labels deliver premium quality. 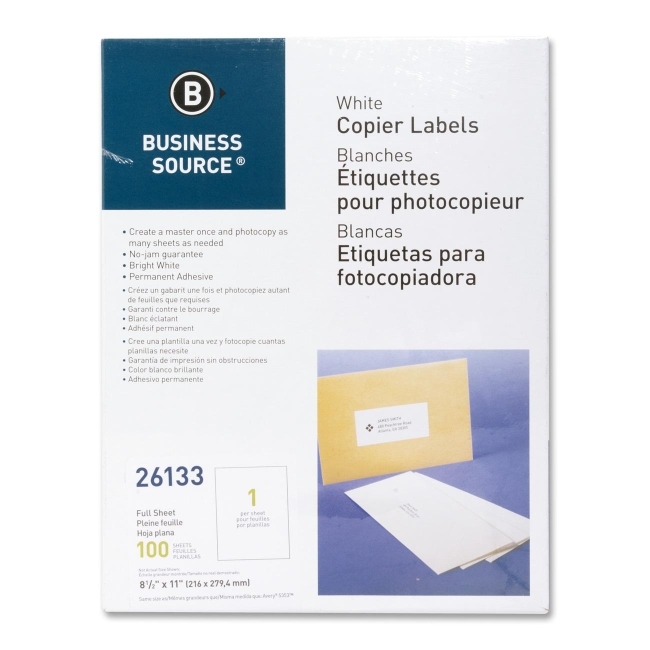 Use full-sheet labels to address envelopes and packages. Type easy-to-use template once and copy it. Sheets of labels are compatible with plain paper copiers only and will not jam. Labels are acid-free and lignin-free.